Everyone wants to eat and live healthy, but what often intrigues such people is the determination of what is healthy. For some, healthy and nutritional is all about vegetables. That is not the case. Various forms of meat have their own nutritional value. However, they do have fatty acids which can be harmful in excess. That does not stop anyone from occasionally trying out such food, among which pork chops are the tastiest. The best part is that they are easy to cook. First of all you should remove the pork chops from the refrigerator and leave them at normal temperature overnight. If you have forgotten to do that, defreeze them in a microwave. When the pork chops have been removed from the refrigerator, they will have a lot of moisture in them. If you start cooking them straight away, you will not get the desired taste. It is better to drain all the water before marinating. Place a medium sized pan on the stove and heat it on low flame. It is better to use a non stick pan. Add some butter to the pan, so that it also gets heated. You can now increase the heat under the pan. When the butter gets heated properly, you can start frying the pork chops one by one. Make sure that they don’t burn from one end. Continue flipping them over until they get golden brown from each side. While the chops get cooked, add some water to the pan. Now, you can add some spices to the water as per your taste and cook until the water dries out. 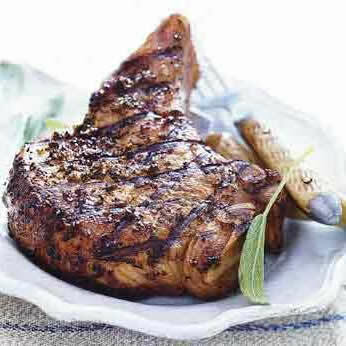 When the chops get a dark brown texture, remove them from the stove and serve in plate. What is Uni (Sea Urchin Roe) and Why Should I Eat It?